Supporters of icons, whether music, religious, sports or military remain dedicated after their passing. The Chicago Southland is home to an eclectic mix, from famous blues musicians to Congressional Medal of Honor recipients, civil rights icons, Chicago mayors and the founder of the Nation of Islam. Melvin Eugene “Tony” Bettenhausen Sr. Between 1897 and 1900, he was considered "the fastest bicycle rider in the world"
Specialist Fourth Class Carmel Bernon Harvey Jr.
Coinciding with the Chicago Blues Festival, a Graveyard Blues Bicycle Tour is offered by the Friends of the Cal-Sag Trail. 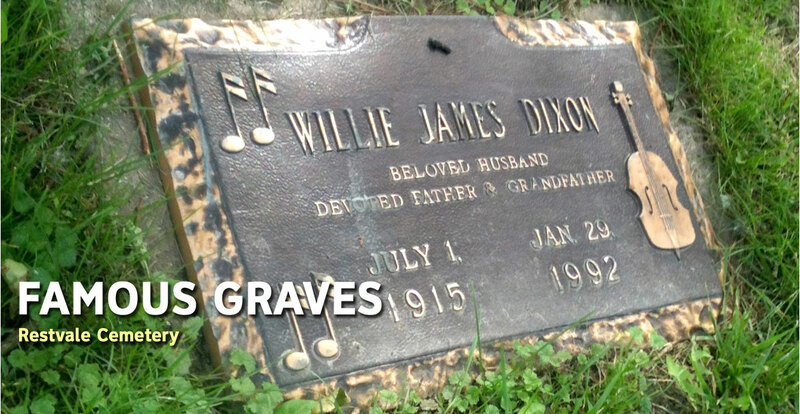 Riders make their way to several historic cemeteries in the Chicago Southland to hear Harmonica Neil Florek tell the stories and sing the songs of Muddy Waters, Willie Dixon, Hound Dog Taylor, Big Bill Broonzy, Magic Sam and other legends buried there. Visit CalSagTrail.org for more information. 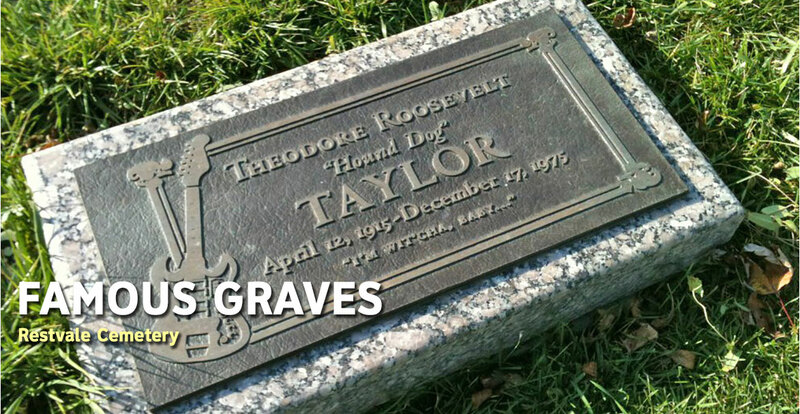 Click here to see highlights from the past Graveyard Tours.